Gorshenin Institute's team will present the findings of its US visit. 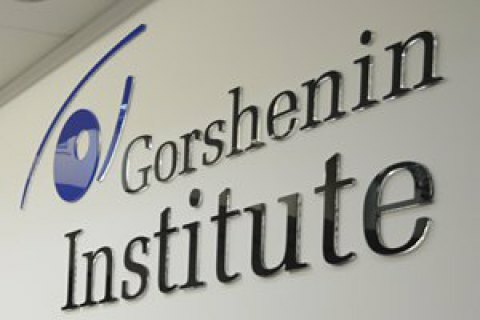 On 15 November, Gorshenin Institute will host a press briefing by the experts of Gorshenin Institute on the findings of their US visit. The briefing will start at noon. From 2 to 12 November, the Gorshenin Institute team held a series of meetings with politicians, representatives of various organizations and institutions in the USA. The goal of the visit was to analyse the course of the US election campaign and its conclusions for Ukraine and the world. 1. Findings of the US visit by the Gorshenin Institute team. 2. Analysis of factors which allowed Trump to win. 3. Possible lineup of Trump's personal team. 4. Consequences of Trump's win for US foreign policy. What the world should expect from the new US president? 5. How has the latest presidential campaign changed the US political landscape? What long-term repercussions is it going to have for US policy? 6. How is the election of the new US president going to affect the Russian-Ukrainian conflict? - Dmytro Ostroushko, director of international programmes, Gorshenin Institute. Any coverage of the event must mention Gorshenin Institute as its organizer.